Whether it’s the American motto “time is money,” or the Eastern European saying “When man is in a hurry, the devil makes merry,” the primary way in which a culture deals with the passing days marks the people who live in it. Ethnographers and anthropologists have long understood this, and used the way societies react to time — from how they divide their day to how they react to the aging process to the language they use to describe the past, present, and future — to tell the stories of what makes this culture unique. Eva Hoffman has been chronicling the differences between Eastern Europe and the West since writing her 1989 account of her family’s immigration from Cracow to the Vancouver suburbs, Lost in Translation: Life in a New Language. “The Socialist People’s Republic,” she wrote, created “a nation of ironists and gamblers.” After all, “It’s clear enough to everybody that you don’t get anywhere by trying. Working hard in your ‘chosen profession,’ when the profession is most often chosen for you, when there’s no reward and no possibility of improving your conditions, and when anything may happen tomorrow, is for fools.” Laziness becomes a virtue. The days are for doing as little work as possible, and the nights are for long, smoky conversations that last into the early hours. Of course, those days are gone, even in Eastern Europe. It’s no longer just fast food restaurants and “democracy” that the United States is exporting — it’s also our anxiety about time. From how business is conducted to the fight to slow the aging process, our unhealthy attitudes are becoming the common thread that ties our flattening world together. 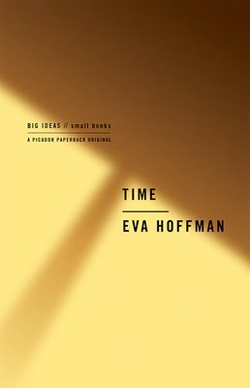 As Hoffman writes in her new book Time — an overview of the way humans experience, fight with, warp, and understand the concept — Americans’ insecurity with the ticking clock was in some ways born out of the opportunities for growth and expansion that did not exist in other parts of the world. We worked harder and competed with one another because there was a chance for upward mobility. Other nations are now taking our lead — there are still cliches about the striking French and the siestaing Spanish, but citizens of other countries are taking on the longer work hours and the obsession with youth that has plagued the U.S. for generations. Americans have always been a work-focused people. And despite the fact that this stresses us out immensely (Americans report feeling more stressed than citizens of other nations, and we also suffer from more heart disease and other stress-related health problems than others), we report feeling happiest when at work. In fact, if we had more free time, surveys suggest that the majority of us would fill it with more work. We have a very difficult time unplugging, and many of our technological advances have ensured that we don’t have to. Cell phones, e-mail, laptops, jet travel, and hotels wired with wi-fi all allow the capability to be at work all the time, even on vacation. Part of it might be what Hoffman refers to as our quest for “big promotions, big money, big homes” and that fear that came with knowing that “if you didn’t succeed in ‘making it,’ as the colloquial phrase had it, you had only yourself to blame.” Americans use the same approach for family lives and leisure. We structure our children’s existences with activities, we work out a play regimine. It’s a neurotic approach, and it affects every aspect of our lives, including the time we spend unconscious. We use pills to optimize the amount of time we sleep and struggle to find ways to survive on less sleep. There is no such thing as aging gracefully anymore, and the arsenal with which we fight to stay youthful includes routine surgical intervention. The best way to sell a beauty product is to slap the word “antioxidants” on the label. Any moisturizing woman can tell you they fend off free radicals, as if they had any idea what that means. The typical reason given for this age maintenance is that youthfulness is associated with productivity. We’re cutting open our faces so that our bosses can work us harder. When things move at such speeds, it’s difficult to tell the difference between advancement and progress. Our medical research has allowed us to extend life to great lengths, including artificially when the body can’t regulate its own breathing. That may be a medical advancement, but without a practical conversation about end-of-life rights and dignity, can it be called progress? We may be able to bring post-menopausal women back to fertility and successfully implant them with embryos, but there is not much talk about whether or not that is a good thing until a circus like Octomom reminds us that there should be limits. 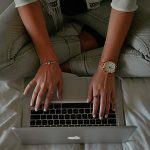 While having a world’s worth of information available on your laptop is an undeniable advancement, the decline of serious concentration and in-depth study is having a real effect on scholarship and people’s ability to focus. Technology advances faster than ethical conversations, and the obsession for life at whatever cost can drown out common sense. “Are there limits to our biological flexibility?” Hoffman asks. “And what happens when we try to step outside them?” Each species seems to have a set limit to how far life can be extended. Hoffman deftly explains what we know about the reasons for that, from chromosomal mutation to the correlation between metabolic rates and life expectancy. Our bodies can only do so much. We cannot run faster than a four-minute mile, give or take some seconds. The age 120 seems to be the far end of human life. And yet we still wonder how far we can push these boundaries with bionic research and cryogenic companies. 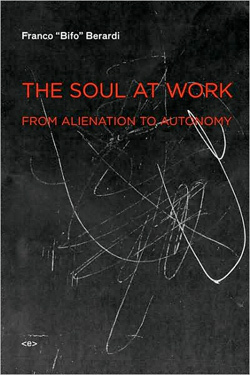 But “life” as we think of it today — “that personhood implies having one unrepeatable self, and living within the constraints of one unrepeatable body with a single irreversible lifespan” — will be forever changed.